The Lagos Chamber of Commerce and Industry has urged the National Assembly to halt the progression of the Nigeria Postal Commission Bill currently before it. 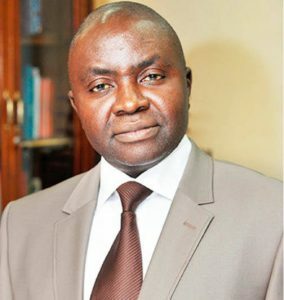 Muda Yusuf, the Director-General of LCCI, in a statement in Lagos on Sunday, said that the bill, if passed, might jeopardise about N300 billion investments in courier services business and could lead to loss of 100,000 jobs. Yusuf said: “The passage of the bill in its current form will put over 100,000 jobs in the courier sector at risk and will as well put over N300 billion investments in courier services business in jeopardy. Yusuf said the bill was a negation of the Ease of Doing Business agenda and the fundamental principles of the Economic Recovery and Growth Plan of the Federal Government. According to him, the chamber is worried about the provision of imposition of an annual levy of 2.5 per cent on the turnover of courier companies to be paid to the proposed Postal Services Commission. He said: “This will impose considerable burden on courier companies and it is outrageous, having regard to the numerous taxes and levies already being paid by the courier companies. Yusuf also expressed concern over the power conferred on the proposed postal services commission to fix rates for courier services. The director-general further expressed worries over the monopoly privilege conferred on the Nigerian Postal Service for delivery of items weighing 1 kilogram and below. He said: “This would amount to an over regulation which should not happen. Courier service is not a social service. “It is a business which should allow for each player to design its business model for survival and sustainability. The LCCI boss said that rate fixing for courier companies was not only counterproductive but would stifle investment in the sector and give very adverse signals to potential investors in the economy. According to him, monopoly story of the defunct NITEL is instructive and dictates that such a legislation that seeks to confer monopoly privilege should not see the light of day. He noted that no sector of the economy was subjected to such an arduous regulatory provision and requested that the bill be urgently reviewed in the interest of economic progress and citizen’s welfare.